We have gotten all of our solar powered lights, panels, controllers and inverters from this store in Puerto Princesa, on Rizal Avenue. It is beside David's Hair Salon after a breezeway. 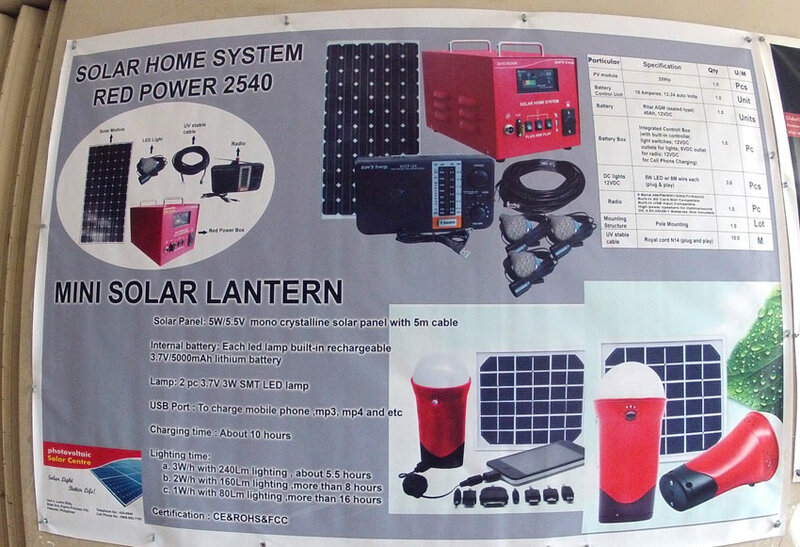 This company "Photovoltaic Solar Centre" also has a display and sales room in the new Robinson's mall on the second floor. 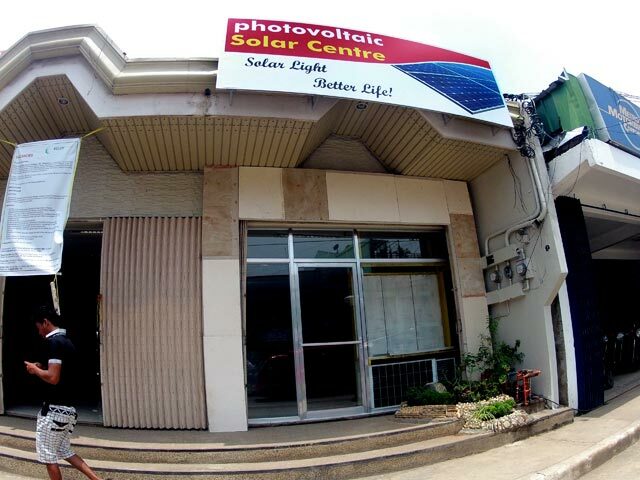 Photovoltaic Solar Center- on Rizal Avenue - Our source for solar panels and solar LED light bulbs and systems. 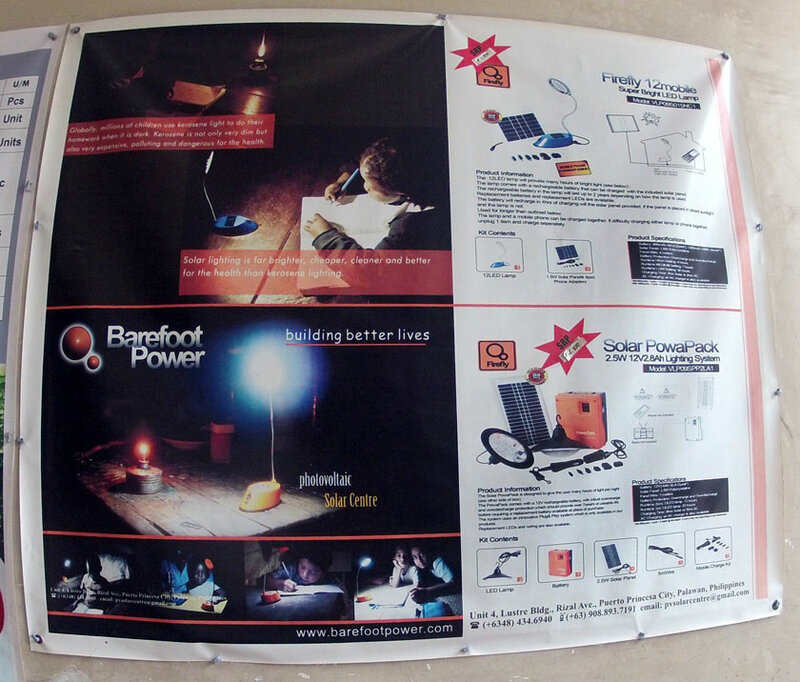 This is the power pack that comes with the LED kit of two LED lights. 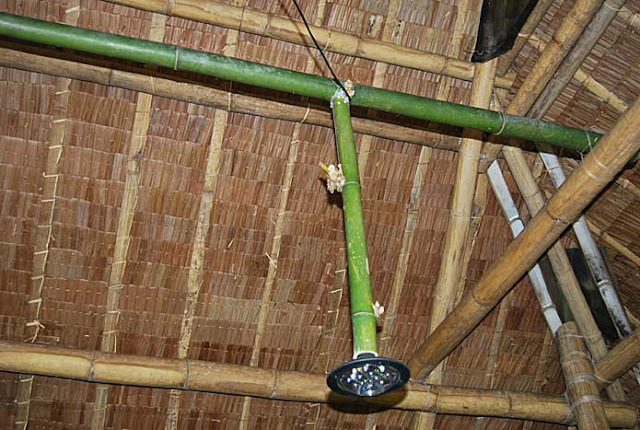 It has a small solar panel. 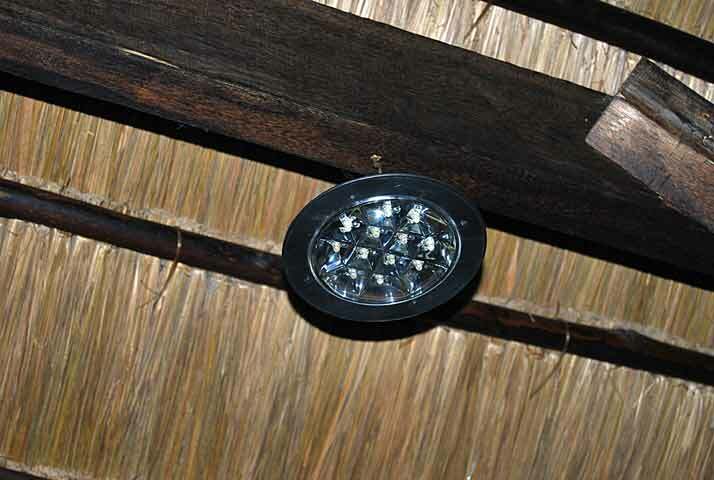 This is another type of LED solar bulb that comes with a kit. A charger and inverter in one small box. You can also charge your cell phones on a sunny day with the adapters. When there were brownouts, it would go dark in the kitchen and the water pump would shut off so we would run out of water. These panels now run the water pump, a floor fan and all of the lights. I actually can't tell when there is a brownout anymore because it remains so bright. Quite a few people have asked where we get our solar kits. So there you have it. At any rate, what is the dimensions of the solar panel? It was briefed as small, the dimensions should be included for technical terms. How much will this cost? At what rate does this solar panel works? How much watts can it charge a day? Is the solar cell water-proof in case of rains? Thanks for the advance answers. I am looking for a convenient residential solar source and this looks promising. 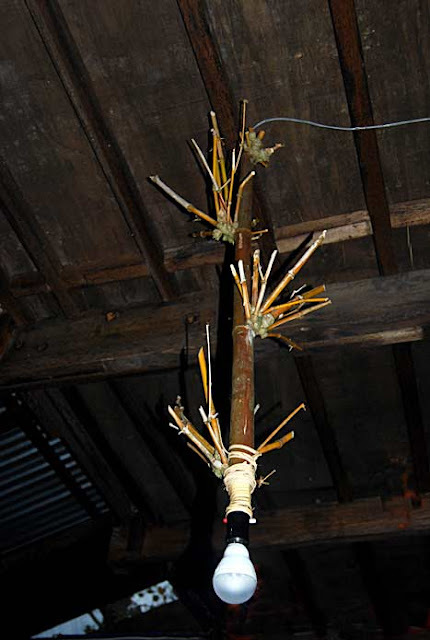 It got the portability and simplicity. Our system cost us about 80K phP. It runs about 12 bright lights, a fan and a refrigerator for a few hours. 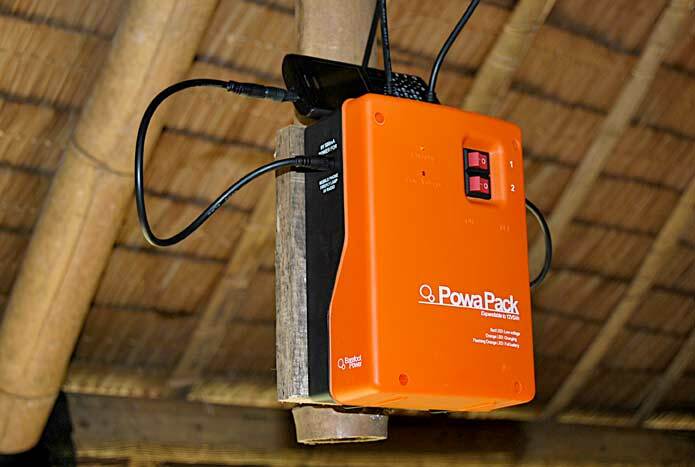 The inverter was about 55K php. You should contact the store. All their info is on that page. I just did a review of their store and services. We are end users. 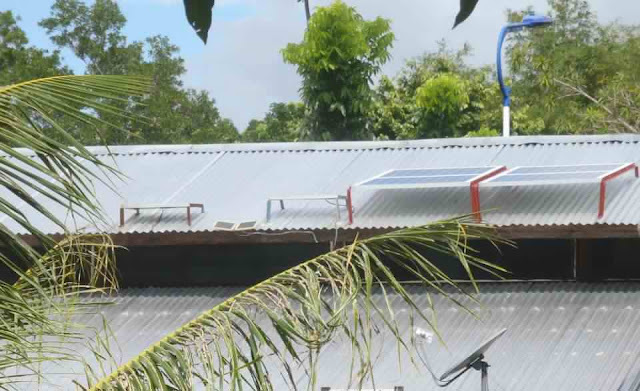 Hi Saku, This post starts with: "We have gotten all of our solar powered lights, panels, controllers and inverters from this store in Puerto Princesa, on Rizal Avenue." hehe You must have skipped that part. Call them and they will be able to help you with your needs. Sometimes it's over kill, but you can research online as well.